Join us for this one of a kind event running parallel to the SCA Expo in Boston. 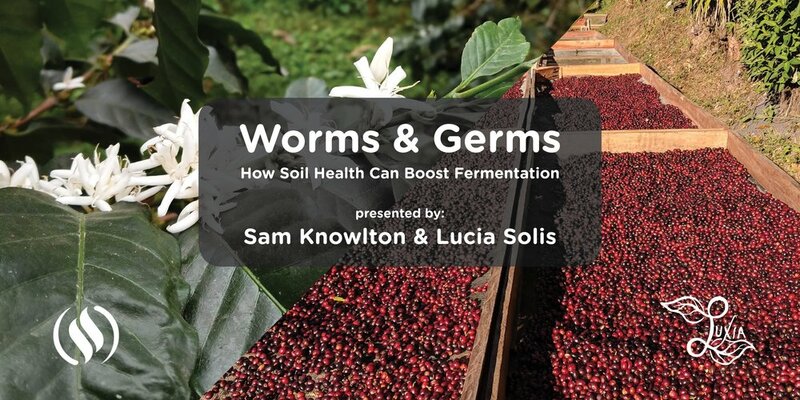 Sam Knowlton will present the principles of soil and plant health and how we are positively influencing flavor profiles and cup quality with a soil-first approach. World class processing expert, Lucia Solis will provide insight and practical takeaways regarding coffee fermentation for producers looking to develop quality and consistency in their finally product. This workshop has been crafted for serious coffee producers, buyers and roasters. Plenty of practical and empirical knowledge will be shared. We will include a cupping of some special coffees as well as a Q&A.